The award recognizes the outstanding performance of a business that fosters and supports opportunities for minorities. Olivia Wong, accounting, sales and marketing manager and eldest daughter of founder and owner, Manny Wong, says her family’s personal history combined with living in such a multicultural city, lent importance to hiring a diverse group of fellow immigrants and minorities. “We were fortunate to be able to grow Fullei Fresh over 40-plus years thanks to the efforts of our staff,” she says. 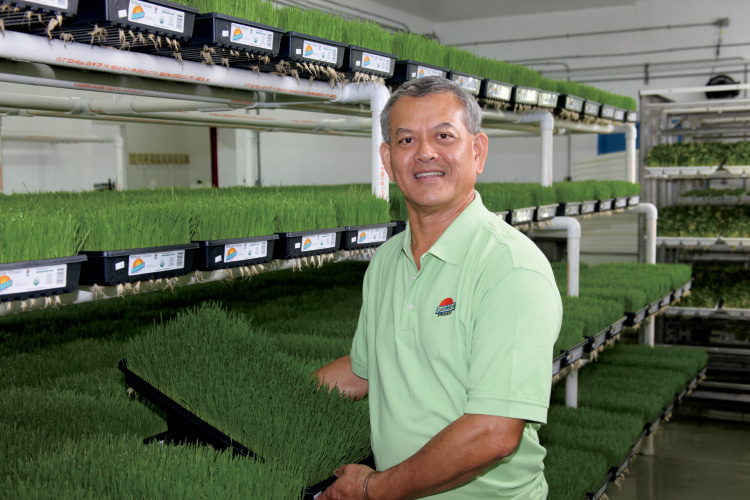 Fullei Fresh’s history dates back to 1938 when Manny’s father left China for Cuba and began growing bean sprouts there. Fullei Fresh, as it is now called, grows more varieties of sprouts and shoots than any other commercial grower in the country. All are grown hydroponically indoors using computerized monitoring systems and the latest in food-safety measures. Fullei Fresh sells its products to distributors, wholesalers and retail chains including Whole Foods and The Fresh Market in Florida, parts of Georgia, Texas, the Caribbean and Central America. The criteria for the award the company won is based on (a) volume, consistency and quality of business opportunities granted to women and minorities; (b) demonstrated commitment to the hiring, retention and promotion of women and minorities; and (c) demonstrated commitment to the pursuit of cultural diversity and inclusion in the community and workplace. Fullei Fresh’s growing facility employs about 50 people, 60 percent of whom are women. The company emphasizes hiring, retaining and promoting women and minorities. Many of the employees are from Haiti, Cuba, Latin American countries, Asia and other locations.